Newly remodeled 1500 sq. 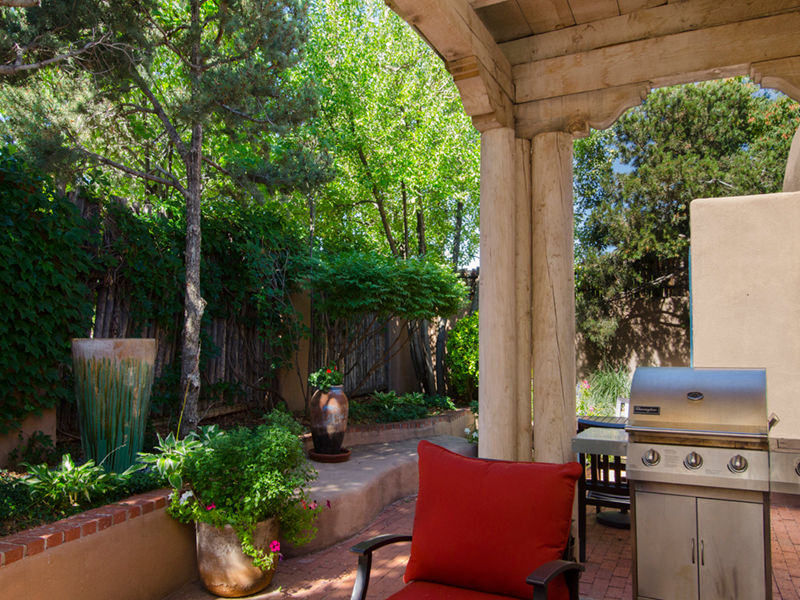 ft. 2 Bedroom and 2 Bath townhome on the historic Old Santa Fe Trail is available for your Santa Fe vacation! 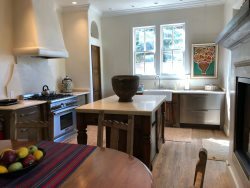 This property has easy access to the neighborhood grocery store, State Capitol as well as the Santa Fe Famer’s Market, Canyon Road and the well sought after Santa Fe Plaza. Classic, professionally decorated townhome in a small, private compound is filled with light, new kitchen, tile floors, fireplace and beautiful linens and appointments; and it’s all on one level. Enter through the front door to a welcoming entryway with guest bedroom and bath. Twin beds are provided in the guest bedroom with a private hall bath. Once you walk into the large open living room and dining room, you won’t be able to decide to take a sit and read a book around the fireplace or go into the newly remodeled kitchen and prepare a Santa Fe feast! 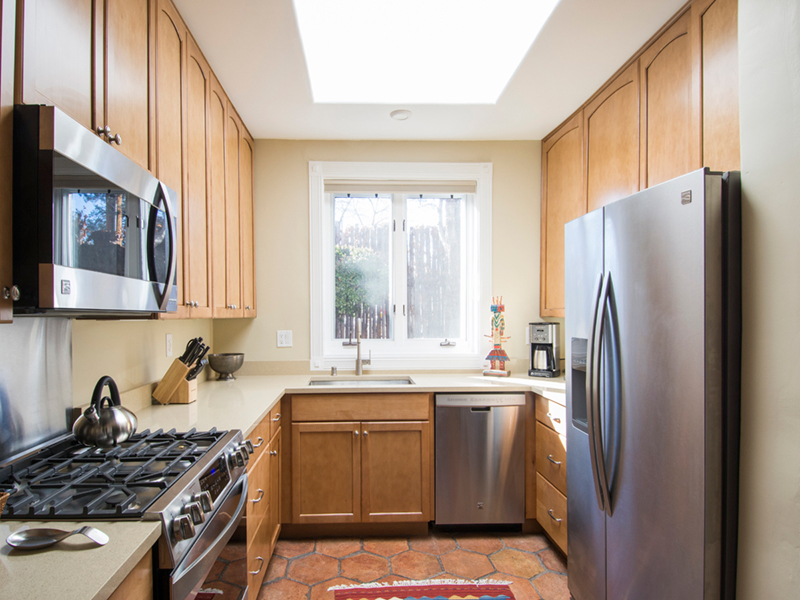 Off the living room are doors to a lovely, private patio with comfortable seating for six. 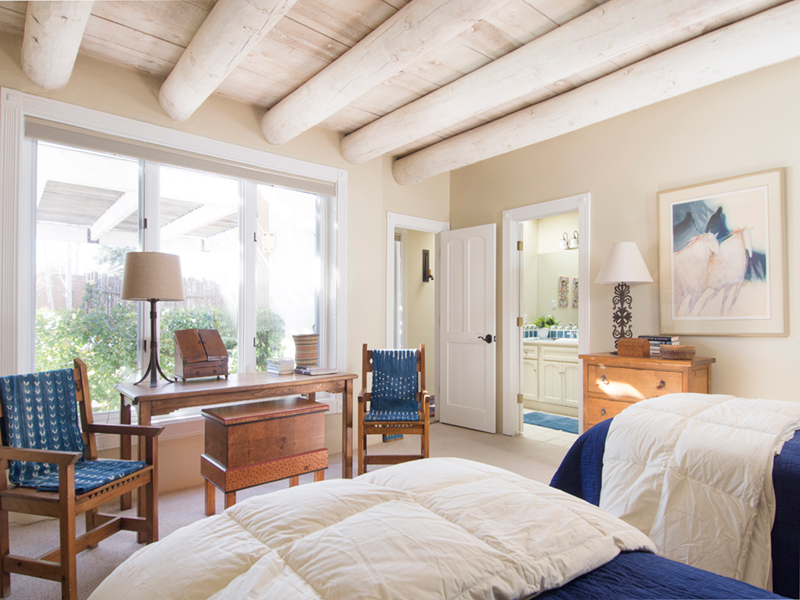 The master suite is situated off the living room with a king bed, lots of closet space and full bath. Luxurious linens and appointments showcase this wonderful property. 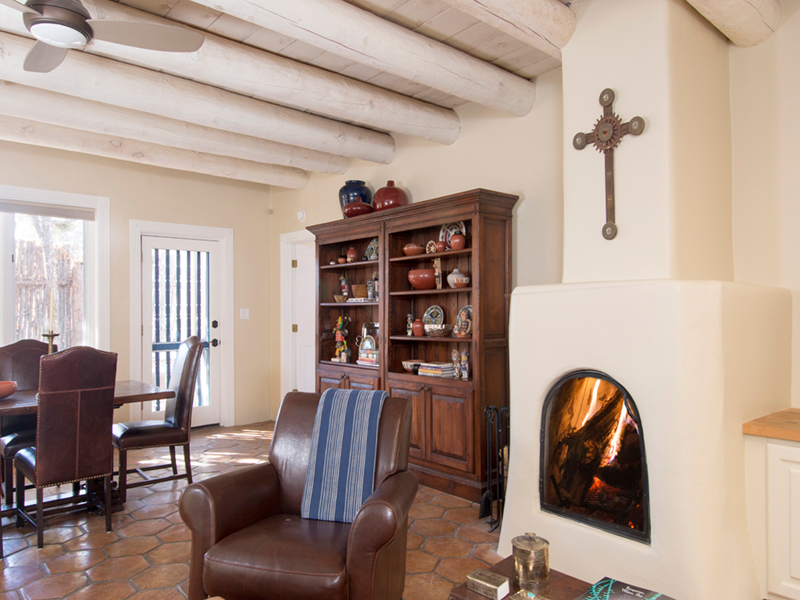 The property has evaporative cooling for those warm Santa Fe evenings. There is a carport with off street parking at this home. The owners may consider a well behaved dog. Non-smokers only, please.